Chittagong Port Authority Motor Driver Job Circular has been published. b. Heavy viheacal/light transport motor driving Licence and 3 years experience heavy driving. 1. Applicantӳ Age 30 on (12-09-2017). 5. Any sonali bank branch (without Port Branch) pay 100/- sonali seba money recipt (not allowed bank draft/payorder/DT). tags: www jobscpa org gov bd. www jobscpa org bd. chittagong port job circular 2017. jobscpa bd. admit card chittagong port. 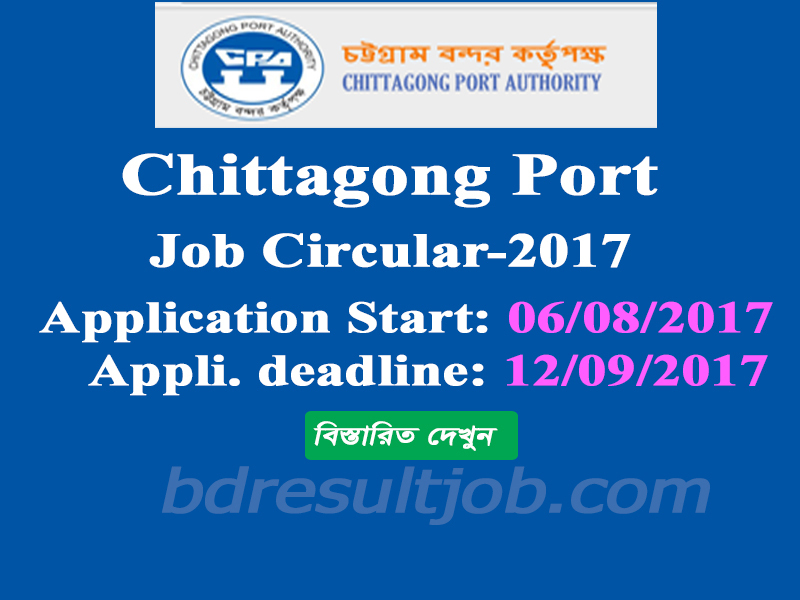 Chittagong Port Authority Job Circular 2017. cpa org bd. jobscpa org 2017. jobscpa org gov bd. cpa gov bd online application. jobscpa or. exam date of chittagong port 2017. chittagong port exam question. (jobscpa org). 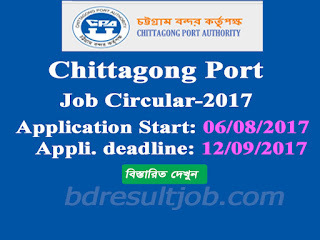 chittagong port authority admit card. chittagong port curcural#spf=1. Www scpa-job circlular 2017 bd com. jobscpa#spf=1. www cpa job circular com. jobscpa org#spf=1. Bangladesh Education and Job Portal: Chittagong Port Authority Motor Driver Job Circular has been published.